In January my father retraced steps he took 50 years ago in Hattiesburg, Miss. As a teenager in 1964, he had locked arms with men and women of goodwill seeking the most sacred and elusive right of citizenship: the vote. Later that year, Mississippi would become the site of the extraordinary Freedom Summer, when students and activists poured into our home state to register voters and teach in Freedom Schools. But a half-century later, freedom remains unclaimed by too many as millions of African Americans, Latinos and Asian Americans remain unregistered to vote. The Center for American Progress recently released a stunning study, True South: Voters of Color in the Black Belt 50 Years After Freedom Summer, examining the changing demographics in the South. The findings are straightforward but complex: Despite holding the keys to political power, too few voters of color have taken the initial step toward exercising this capacity. Unlike the exclusionary policies that drove Freedom Summer, voter registration isn’t outlawed in the South any longer. Yet, with the proliferation of voter-suppression laws and the disconnect between voters and their elected representatives, registering to vote can seem equally insurmountable. The CAP study, though, suggests that to make registration matter, we must engage and educate these potential power brokers about the strength of their voices. Growing up in Mississippi, I knew early on of its history of disenfranchisement, and my civil-rights-activist parents demanded that we understand our role in never allowing the return of those tragic days. More than 1.5 million people have moved into Georgia in the previous decade, according to the 2010 census. Most of these newcomers count themselves as minorities. Yet in 2014, there are more than 800,000 citizens of color who are eligible to vote but are unregistered. If these citizens would but pick up a ballot, their collective voting power would sway election results in dynamic and progressive ways. Minimum-wage laws would have an audience. Medicaid expansion would have a pulpit. Education funding formulas would reflect the needs of the children most desperate for aid. Freedom Summer should not be seen as a one-time event. It is an ongoing directive because the power of the vote has become the dominion of a different minority—of those who have used their electoral power to enact laws to restrict access to the ballot and undermine the fullness of our democracy. These voters may be less than a majority, but they are the ones showing up at the polls. We are each accountable this year, not only to commemorate Freedom Summer but also to re-create it. Here in Georgia, we are trying to do our part through the New Georgia Project, an ambitious effort to register thousands of voters of color in 2014 and beyond. I owe this much to my parents—particularly to my father’s 15-year-old self back in 1964—and to children who depend on the rest of us to speak up. And vote. 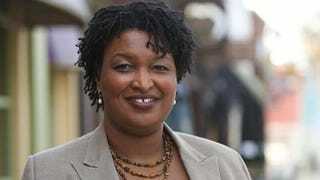 Rep. Stacey Abrams represents Georgia’s 89th District and is the Democratic minority leader of the Georgia House of Representatives. Follow her on Twitter.